We have sourced the finest Begonias as well as a gorgeous planter for this display. We topped it all off with a lovely butterfly pick for that extra something special. 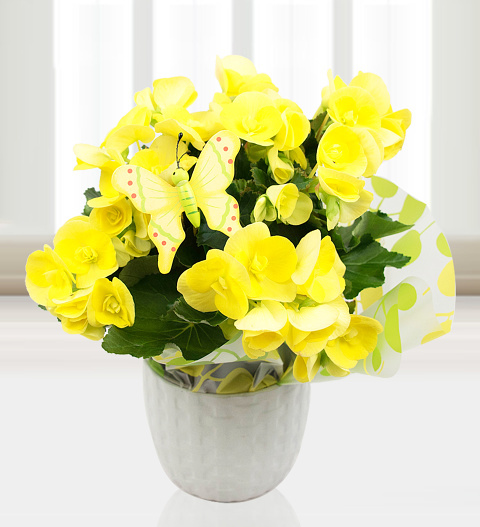 Send this charming gift for Mother's Day, a birthday, anniversary, or any other happy occasions. Chocolates may contain nuts.